From the colonial period into the early 19th century, Connecticut’s foreign trade consisted of exporting lumber, livestock, and agricultural products destined almost entirely for the West Indies. 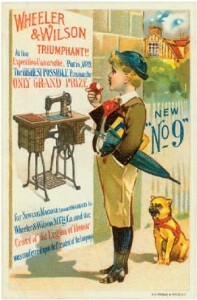 Later, in the state’s industrial infancy, Connecticut-made products such as clocks, brass buckets, coffee mills, buttons, and a host of other so-called “Yankee notions” were consumed domestically, carried by Connecticut-based peddlers north and south along their routes and sold to customers in towns from Maine to Arkansas. 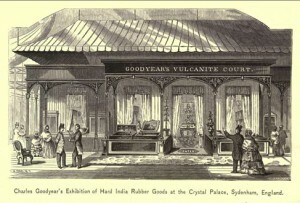 In 1851 Samuel Colt introduced another quintessential Connecticut product to Great Britain with a display of his patented repeating firearms at the famous Crystal Palace Exhibition in London, one of the earliest venues for the exhibition of the industrial, artistic, and agricultural products of many of the world’s nations. Colt set a precedent for Connecticut manufacturers who would show their wares at European expositions and fairs. He also dominated the firearms exhibition, winning over many British critics who were loathe to accept that an American, machine-made firearm could outperform a similar weapon manufactured according to the long-entrenched British guild system, under which all the parts of each single weapon were made and assembled by a single craftsman. 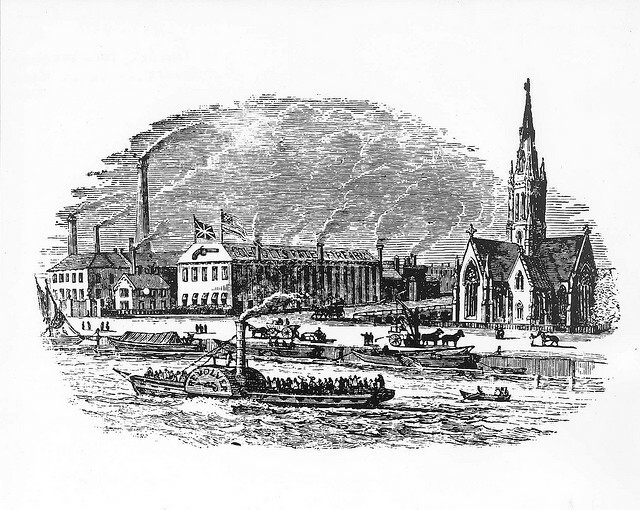 Partly as a result of his success at the Crystal Palace, Colt was spurred to establish a London factory in 1851, sending both workers and machines from Hartford to ensure that the London-made firearms would conform to his production and quality standards. Colt’s London factory appears to be the first overseas factory established by a 19th-century American manufacturer. 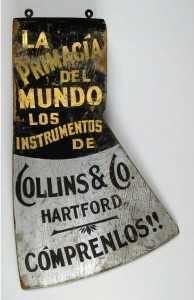 The Collins Company was also a pioneer in the foreign trade. 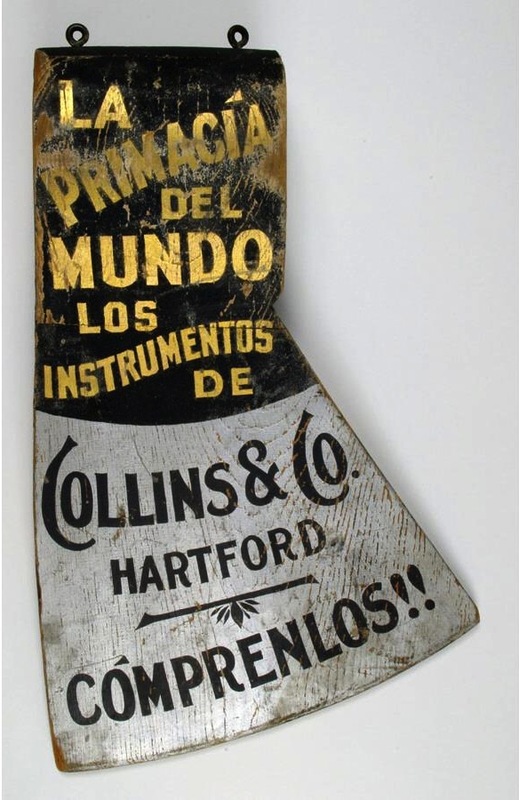 As early as the 1840s, Hartford shipping merchants began to include Collins axes in cargoes bound for plantations in the West Indies that were worked with enslaved labor. Collins soon developed machetes and specialty edge tools, many adapted from workers’ own designs, for use on sugar, cocoa, coffee, and other plantations throughout Latin America and the Caribbean both before and after the abolition of slavery. With an extensive line of agricultural and forestry tools, Collins found ready buyers in South America, North America, Africa, Europe, Australia, and New Zealand. But success brought imitation and thus unfair competition. An 1881 Hartford Daily Courant article detailed the company’s efforts to enforce international treaties and protect its trademark from English and German counterfeiters. Connecticut manufacturers continued to display their products at the expositions and fairs held in Europe and around the world in the 19th century. 1878 saw more than 25 Connecticut manufacturers, representing 13 cities and towns, showing their products in 21 different classes at the Exposition Universelle in Paris. In the mining and metallurgy section, which included hardware and other metal products, there were more exhibitors —including Russell & Erwin of New Britain, Mallory & Wheeler of New Haven, and Yale Lock Co. of Stamford—from Connecticut than from any other state. Leather power transmission belts by The Underwood Belting Co. of Tolland were used in the Exposition’s machinery hall. By the end of the 19th century, many Connecticut manufacturers, in addition to exhibiting at expositions around the world, turned their eyes and interest toward the emerging markets in Central America and South America. Many opened sales offices in countries there, and some, such as P. & F. Corbin of New Britain, began printing full product line catalogues in Spanish. 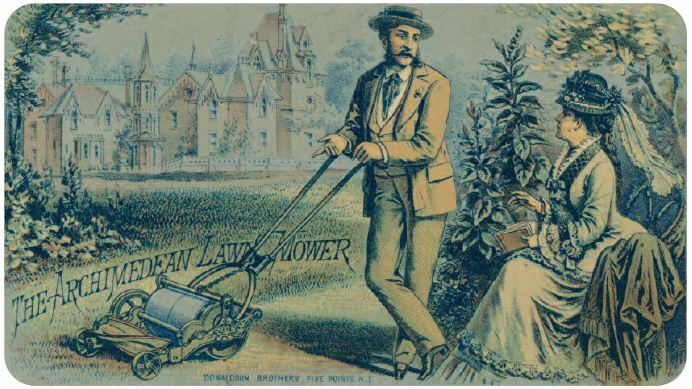 Selling products abroad opened new markets for 19th-century Connecticut manufacturers and began the transformation of American small business into the large, multinational corporations that we know today. Briann Greenfield is associate professor of history at Central Connecticut State University. David Corrigan is curator of the Museum of Connecticut History. Both are members of the Connecticut Explored editorial team and frequent contributors to the magazine. © Connecticut Explored. All rights reserved. This article originally appeared in Connecticut Explored (formerly Hog River Journal) Vol.10/ No. 1, Winter 2011/2012. Jerome, Noble. Patent Number 1,200 - Striking Part Of Clocks. 1,200. Bristol, CT, issued June 27, 1839. Link.